A Centre of Energy Research, Technology and Innovation in the Kingdom of Saudi Arabia. Dhahran Techno Valley’s Science Park is operated by the Dhahran Techno Valley Company (DTVC) which is wholly owned by King Fahd University of Petroleum & Minerals (KFUPM) and was established by Ministerial Decree in 2010. DTVC is mandated to build a knowledge-based ecosystem to provide a unique value proposition to leading companies that are committed to Research, Technology and Development. The vision of DTVC is “To lead the commercialization of technologies by fostering an environment in which the drivers of innovation work together to deliver economic, business and employment opportunities of national and global value in the energy sector.” This vision is focused on driving an innovative, collaborative and integrated ecosystem for technology development. DTVC supports the development of this ecosystem among a unique set of in-Kingdom stakeholders including institutions of higher education; Saudi Aramco, the national oil company of Saudi Arabia; and other national champions and local and international companies. 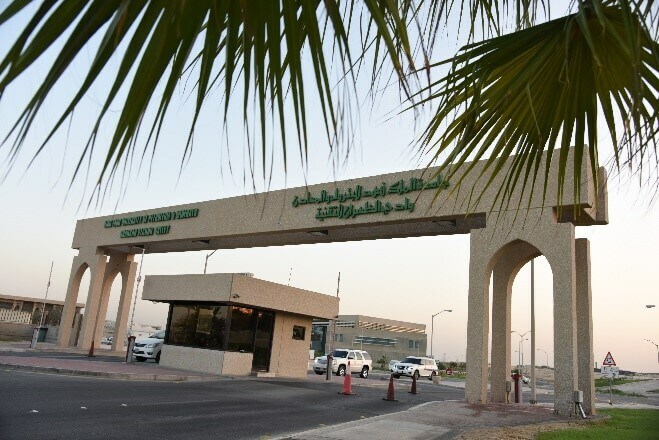 DTVC is adjacently located to the Campus of KFUPM, a noted public university in Dhahran, Saudi Arabia, and regarded for excellence in its science and engineering programs as well as research, with a focus on the energy sector. The company is also strategically positioned near leading international energy companies, petrochemical complexes and other industrial entities.